DBX to PST Converter has become a hot selling cake in the market. People have started adopting new technologies and the user interface (UI) is changing rapidly. Outlook Express is getting obsolete slowly and MS Outlook is the order of the day. Both are Microsoft Products and used for same purpose. Outlook Express is an outdated image of MS Outlook, hence both the programs understand different file formats and store data differently. You might not be aware that a .DBX file can store only 2 Gb maximum data, and it crashes if tried to add more, hence you must prefer upgrading to latest practices to avoid data loss. These are the reasons why we need to export Outlook Express mails to PST. 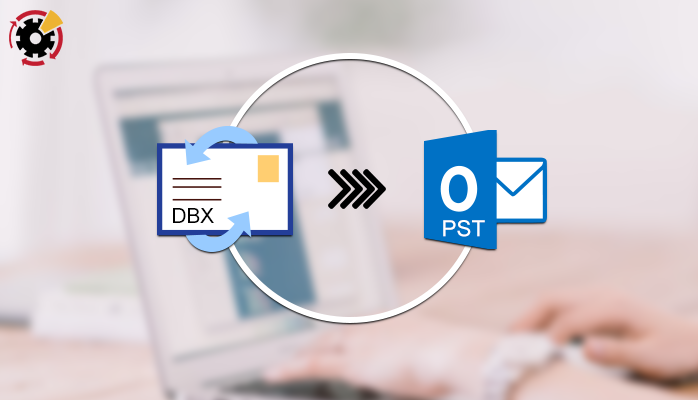 Before I tell you about any commercial DBX to PST tool that can help you to convert or upgrade OE to MS Outlook, follow the manual solution and technique which can be used to import and access mail box items of .DBX file in MS Outlook. To convert your .DBX files to PST, couple of programs are required. Windows Live mail and MS Outlook. Here you can easily download official Windows live mail, and the other program you require is Microsoft Outlook. Note :- Every manual technique requires concentrated attention, please follow the steps as mentioned. Email data loss has also been reported using this technique, I recommend you to keep a copy of your original .DBX file as a backup. If you have already faced corruption, you can repair Outlook PST file using ScanPST.exe. Follow the below steps as available in the latest version of Windows Live Mail. I recommend you to use this technique with latest Windows live mail and know how to export outlook express mail to pst file. Step 4- In import messages Dialogue box, Microsoft Outlook Express should selected, Click Next there. Step 6- Now Windows live Mail will import your mail box data from Outlook Express in Windows Live. 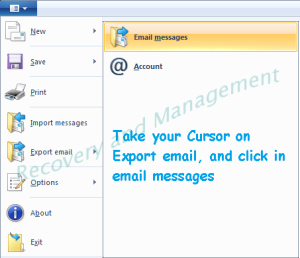 Step 8- Move your cursor or Export email, click on Email messages as shown in the image below. Step 9- Export Mail setup program will appear, select Microsoft Exchange and click Next. Step 10- You will be notified with a confirmation message, Click OK. Step 12- That is it, Click on Finish Tab ab your emails are now exported in the desired location. Now here you convert Outlook Express DBX to PST format by using the import and export techniques in Widows Live Mail, please see the Pros and cons of this manual solution. Well if you can compromise with your emails and like to use the simple way, you have the option with you. But if you can not bear any of your email to break, the next option in front of you is a paid commercialware. I am sure, before you landed on this page, you would have already tried or read about many other paid tools. There are many available, but if you ask my recommendation, I prefer relying on DBX to PST Converter by SysInfoTools. It is an inexpensive tool which is well reputed among system administrators and Microsoft Professionals. If you have any other tool to prefer, you may go with it, but i would suggest you to try the demo version of the tool before you purchase any. Make sure you get the best one. honestly though, it’s much easier to just download thunderbird, select “import”, “from outlook express” and point out where the dbx files are. It won’t even force you to have a Microsoft account!! but then what ! how to convert into PST , any better idea u have ?